On Christmas Eve, the most magical night of the year, the miserly Ebenezer Scrooge is whisked away on a terrifying journey through the past and into the future, accompanied by three fearsome ghosts determined to make him realize the true meaning of Christmas. Charles Dickens’ classic ghost story is brought alive in this most traditional of productions, complete with beautiful period costume, song, dance and a magnificent, original musical score. 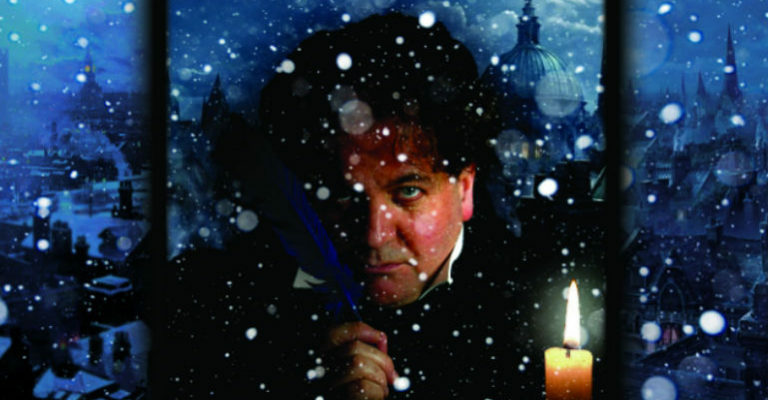 Join critically acclaimed theatre company Chapterhouse as Scrooge’s frozen heart begins to melt and he finally embraces the festive spirit in this most Christmassy of Christmas tales. Who wrote the story of ‘A Christmas Carol’?